Check it out! The gorgeous international cover of SILVER SILENCE!! I LOVE the cover dude!!!!!!! Releasing June! In awesome news, Allegiance of Honor, Archangel's Heart, and Rock Wedding have all been nominated for RT Reviewers' Choice Awards! In more awesome news, Allegiance of Honor, Wild Embrace, and Archangel's Heart have been nominated for the Australian Romance Readers Association Awards! In writing news, the copy edits for Silver Silence are done, and now I'm working on Archangel's Viper. 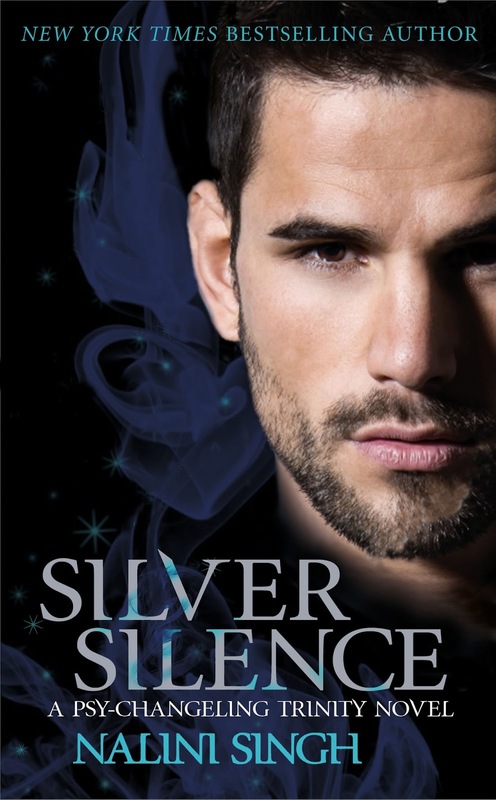 The review copies for Silver Silence won't go out until the proofs are ready, which should be in a few weeks or so (but don't quote me on that!). Nalini's US publisher has put the Slave to Sensation ebook on sale! It's currently only $1.99. (The price should also be available in Canada). If you don't yet have an e-copy this is a great opportunity to grab one. And tell all your friends! ...is the title of the next Guild Hunter book. No full blurb yet as I've just started writing, but here's a small temporary blurb.